A group of Glenshire Elementary students gathers candy during the first week of November. 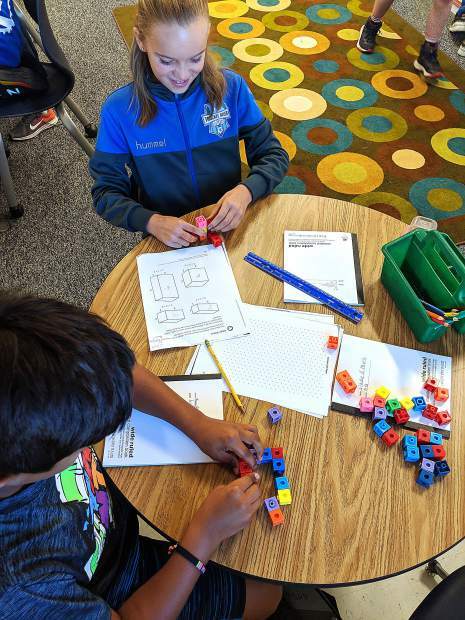 TRUCKEE, Calif. — More than 350 pounds of candy were recently donated by students in a “bring back the candy” campaign led by a fifth-grade class at Glenshire Elementary School. During the week following Halloween, Glenshire Elementary students were encouraged to round up their prized collection of uneaten Halloween treats to donate to the United States Troops who are deployed overseas. Student enthusiastically participated and Truckee’s Safeway store contributed to the campaign, which was an overwhelming success. All of the candy collected at Glenshire Elementary has been shipped off, thanks to the Office BOSS in Truckee, and will be shared with the troops in care packages through Operation Gratitude. Since its inception, Operation Gratitude volunteers have shipped more than one million care packages. 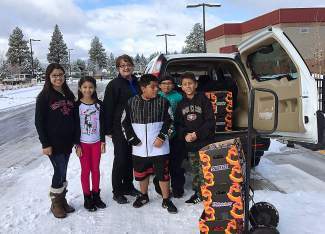 This article was submitted by the Tahoe Truckee Unified School District.